If you live in certain areas then you will notice that “street art” is a little more popular than normal. This is fine until it ends up in your home. More specifically until it ends up on your garage door. That is when it is becoming a problem for you. You just can’t let that happen. It devalues your home. It doesn’t always look good. Problem is that law enforcement rarely ever catches the culprits. With that said, we may have a few good ideas to help you deal with graffiti on your garage door. Not saying that any of them will solve your problem permanently but they will at least help. This is probably the simplest idea for getting rid of graffiti on your garage door. It probably is not the cheapest but it is the most direct resolution. You will need more coats of paint for the darker graffiti, though. You will also need to use paint that is meant for your garage door. 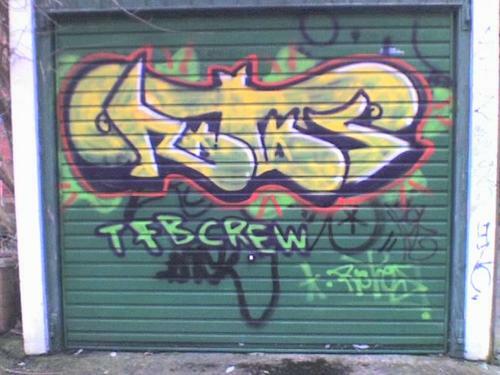 It may take a little bit of patience to fully cover up the graffiti on your garage door. If your garage door is white and the graffiti is black… You are in for a long day of painting. It is important to paint over your entire garage door. Even and older shade and a new shade of white will look considerably different. You do not want it to look worse than it did with the graffiti on it. There are a number of cleaning solutions that may take the graffiti paint right off of your garage door. The problem is that they may also take off the paint already on your garage door. If your garage door is not painted and is just plain steel, you can just scrub the paint off. If the authorities happen to catch the culprits, you may consider having them do it instead of you pressing charges. The work they will do to get it off will teach them a good lesson. Mainly a lesson about how hard it is to get paint off of a garage door. This may sound a little crazy but it just might work. Find a street artist who is really good and have them paint something amazing on your garage door. With any luck, it will be so impressive that no one lacks the respect to paint anything over it. It would be even better if the street artist you found was well known. 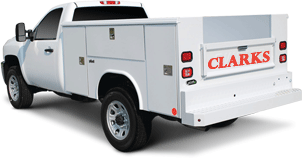 Clark’s Garage Door & Gate Repair has been dealing with Graffiti on garage doors for years. (877) 622-8183 is a simple enough number to call and we are always affordable. We offer the best quality garage door repair and installation services for the best rates. We also offer emergency garage door services if the matter is pressing. Don’t forget to ask about our electric gate repair and installation services if you have one! The Tale Of The Monster… Garage Door? A Great Guide To Lifestyle Screens For Your Garage Door!